As parents at the end of summer (for those of us in the Northern Hemisphere), it’s easy for us to put off the bedtime routine piece of our back-to-school checklist until the very last moment. We may even be tempted to simply forget routines altogether and just “see how it goes” this year. Or perhaps we may be too stressed to think of one more thing on top of all of the other logistical pieces of a new school year. Most families find that re-establishing a flexible routine is one of the most important pieces of getting everyone back into the groove after a long, fun summer. This need for routine is especially true for families of kids with special needs. Kids with specific learning, behavioral, or emotional needs benefit from having the time to re-adjust to all the demands of a new school year. They need support from caregivers at home so that they can feel rested, confident, and organized. Otherwise they may be exhausted and out-of-sorts from a less-structured summertime. While summer provides needed downtime and fun, planning purposefully for those initial days and weeks of school now can make everyone’s life easier in the long run. Even if you know the benefits of the right amount of sleep at each age, there is usually some confusion about how to achieve this sleep success at home. The most common question I get from parents of kids with special needs about sleep is “HOW can I get from where I am now to where I need to be?” Use these strategies and resources to help you get on track for the best school year yet. 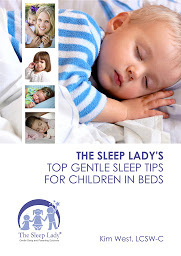 Knowing how much sleep your child needs at night is the first step. Most school-age kids (6-13 years old) need between 9-11 hours of sleep. The older children in that range need closer to 9-10hrs. Taking your child’s ideal number of hours of sleep, do the math starting with the time your child will need to be ready to head out the door for school each morning. After you have calculated the timing and logistics of your mornings and nights, the next step in the days and weeks prior to school starting is to adjust two things simultaneously – bedtime and wake-up time. This article will help you with step-by-step ways to adjust those times. You will need to start gradually moving bedtime earlier while waking your child earlier in the morning until you are at that ideal school schedule. Find the balance between putting your routine off altogether and completely stressing yourself out those final hours before the first day of school. Give yourself at least a full week to adjust your child’s sleep schedule to the upcoming school schedule. . If you have two to three weeks that you can use to take a more gradual approach, that’s even better. A checklist can be your best friend as you go through any routine in your house. You can use checklists for your child’s morning routine, after school activities and a bedtime routine! Download your Customizable Routine Checklist here! You can also create an after-school checklist, as well as a bedtime routine checklist. Of course, you can start with one if it seems overwhelming to have 4+ checklists to follow every day! I think you’ll quickly see that they keep your kids — and YOU — more organized, and much more calm. Make sure you include visuals as part of these checklists as kids love seeing themselves in pictures! Snap a few pics with your smart phone as your child goes through the steps, and then add them to this checklist. Or, have them add their own drawings in the space provided. This way, they see the task, but they also see themselves doing it, which makes it more motivating and fun. In the beginning, this visual support will be something you will “teach” your child, like any new skill or tool you introduce to them. You can talk with your child about the schedule, and you can have her help you decide where to put it in your house. Placing the specific schedule as close to the routine area works best; for instance, place the bedtime routine schedule in or near the child’s bedroom or bed. Look at the pictures together and make sure your child knows what they mean. Then practice the schedule at stress-free times. For example, avoid rehearsing it when you’re trying to get out of the house, or when you’re in the middle of bedtime, so that it is a fun practice run. After you have done a few practice runs, you can start the teaching process during a bedtime routine. When it is time to get ready for bed, remind your child that he can use the schedule to help in this routine. Point to the schedule, and point to the first step. Ask your child if he remembers what the first step is while you point, and then provide lots of positive feedback when he says the right task for the first step. If your child does not say the first step correctly — maybe he says “I don’t know” or maybe he says a later step in the process — do not worry or make a big deal about it. Sometimes families have told me that they have tried a visual schedule, but that their child never seems to use it. When I probe a bit more with these families, often I find that one of the reasons their children are not using the schedule was that the parents or caregivers did not go through all the steps in teaching their child how to use the schedule. If you’re not constantly referring to it and looking at it, your child will likely not refer to it or look at it either. Try to be consistent with pointing to it and talking about it, and you will find that your child will start to use it too. Following these steps can get you back on track before school starts so that you can start the year off right! Stay tuned for more strategies and tools for helping children with special needs relax, fall asleep, and stay asleep next month! Katie Holloran, MA, BCBA, is a Special Educator as well as a Behavior Analyst who supports families with special needs in creating more restful sleep routines and positive behaviors at home. Katie has helped families around the world create their ideal lives by sharing strategies and providing resources to solve even the most complicated sleep, learning and behavior concerns. You can contact Katie at The Behaviorist Next Door — sign up for a complimentary call to chat with her anytime!